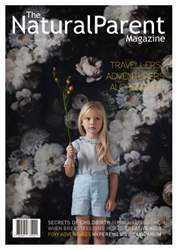 If Icy yoghurty pops and Funky fox puppets all sound like your thing, this issue of TNP MAG will tickle your fancy! It's not only our crafty folk and foodie types that will be keen, there is of course our usual beautifully crafted parenting words from our favourite parenting writers and some great insights into a common yet little understood issue of pregnancy - Hyperemesis Gravidarum. So to all of you clever parents out there, get downloading now and happy holidays!